Grove Team Keller Williams: Should I Install a Conventional, Tankless, or Solar Hot Water Heater? Should I Install a Conventional, Tankless, or Solar Hot Water Heater? As with all other home appliances, choices when purchasing a hot water heater seem to be endless. Gas, electric, or solar? Conventional or tankless? What size? 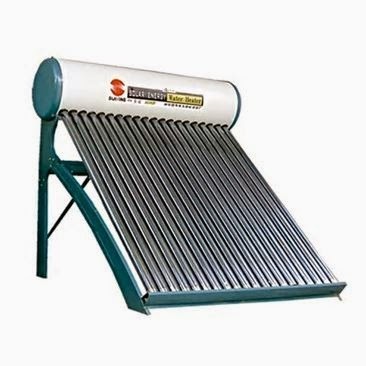 Conventional water heaters heat water to store in a tank until demand arises. Conventional hot water heaters have improved in energy efficiency and are the least expensive option to install. Homeowners also have a much wider choice of vendors because the conventional type has been dominant for so long. Most Texans have owned a conventional water heater at some time in their lives, so there is no learning curve. However, If making cold showers obsolete appeals to you, a tankless hot water heater should, too. Tankless hot waters don't store water, they just heat it very quickly as it flows through the heater, so the supply of hot water is endless. Tankless hot water heaters offer a number of advantages over conventional ones. 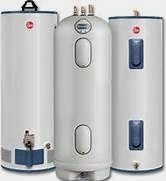 Tankless hot water heaters usually save on space as the storage tank is unnecessary. They are also energy efficient since they don't run until demand is felt. While tankless hot water heating come in both gas and electric models, plumbers often recommend gas if available. Wayne Orr of Douglas Orr Plumbing says that "Gas tankless heaters work significantly better than electric." Tankless hot water heaters can usually be installed in any location that a traditional hot water heater has been installed. They can also be placed in locations where a traditional hot water heater might not suitable, such as outside. Of course, there has to be at least one negative, and in this case it's cost. Regular water heaters cost about $1,000 to purchase and install. According to Sonny Friedman of Atlas Plumbing Company, the average cost to install a tankless is $4,000. Depending on how much hot water you use, your bill for heating water should decrease by 50%-80%. If you are planning to remodel or if you are building a new home, it might be the time to install a solar system. By including the cost of your system in your mortgage payment, you gain a greater tax deduction for the interest you will pay on your higher mortgage. This brief overview gives you the questions to ask when shopping for a water heater. Consider your choices carefully when replacing your hot water heater. Make sure that you evaluate all of the possible options.